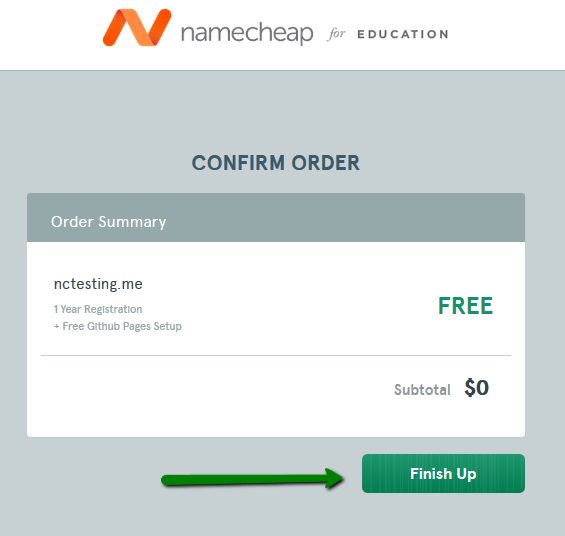 Starting from 30th August, 2014, we are offering a one-year .ME domain name registration for students for free. 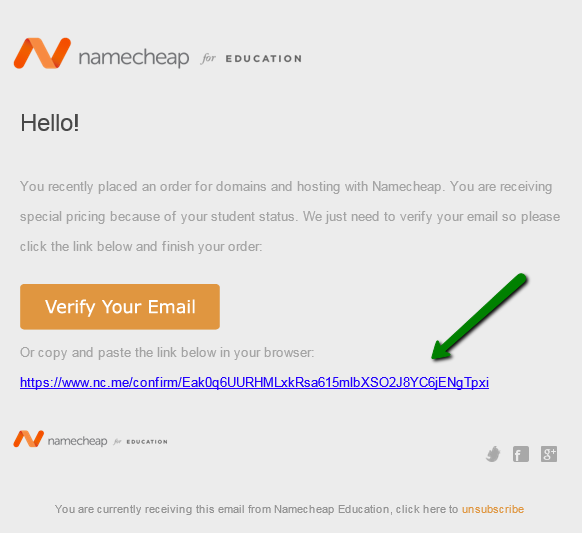 NOTE: The promo is available for the students with a university email address. You can check the list of allowed schools, colleges and universities here. If you find that your university is not eligible, drop us a note and we'll consider your school! 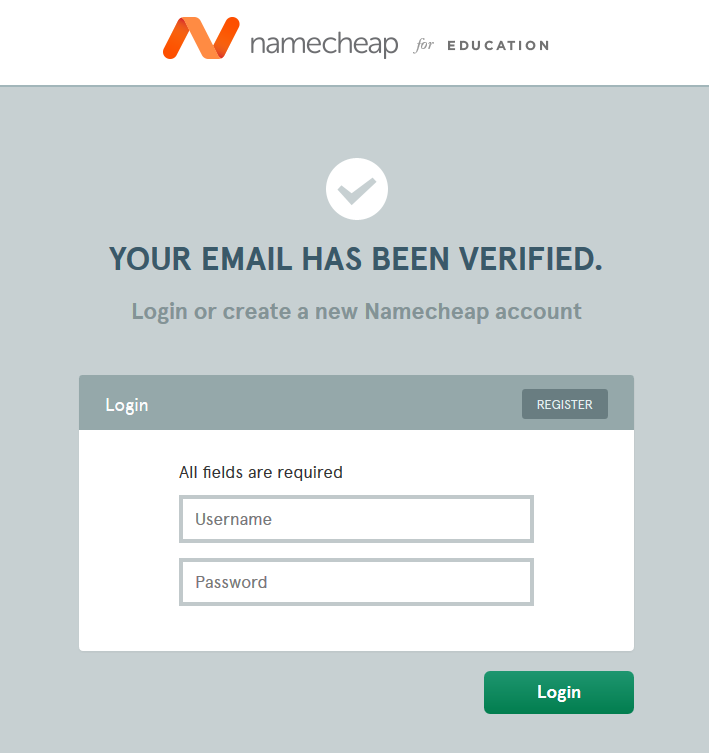 If you have not received a confirmation link, feel free to contact our Support Team. 7. 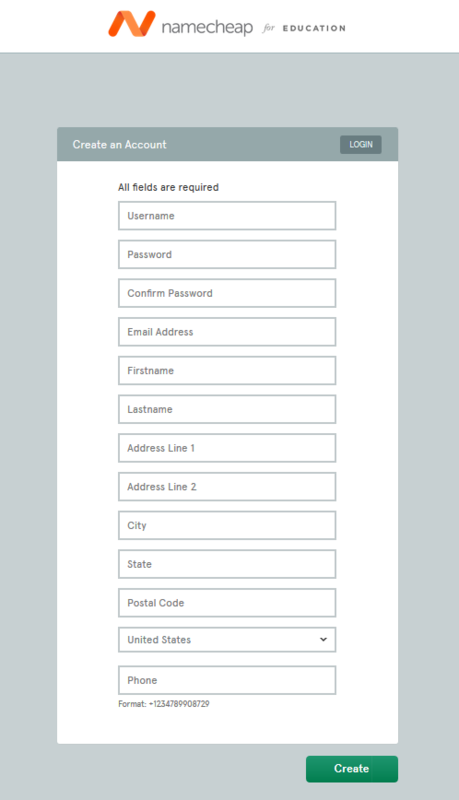 You will be redirected to the page where it is stated that your email is verified, and you will be asked to log in. 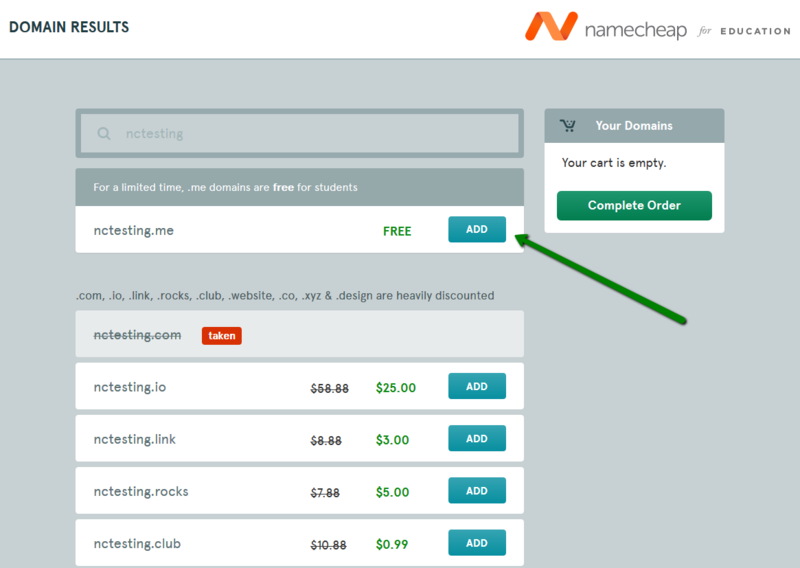 In case you decided to add another domain to the cart except for a free .ME domain, you will be asked to enter your credit card details to pay for the order. 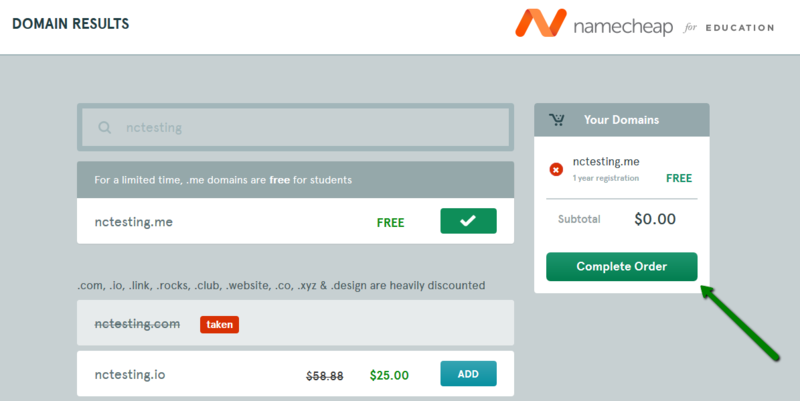 Currently, we accept only Visa, MasterCard, American Express and Discover payments at http://nc.me . 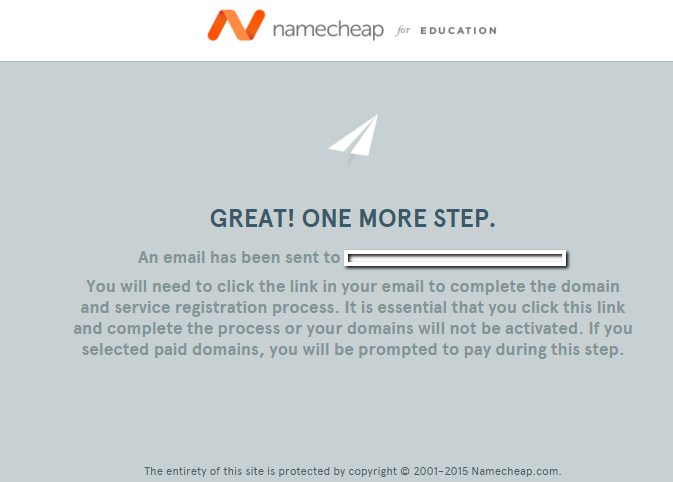 And you are done - within a couple of minutes the domain will appear in your Namecheap account. 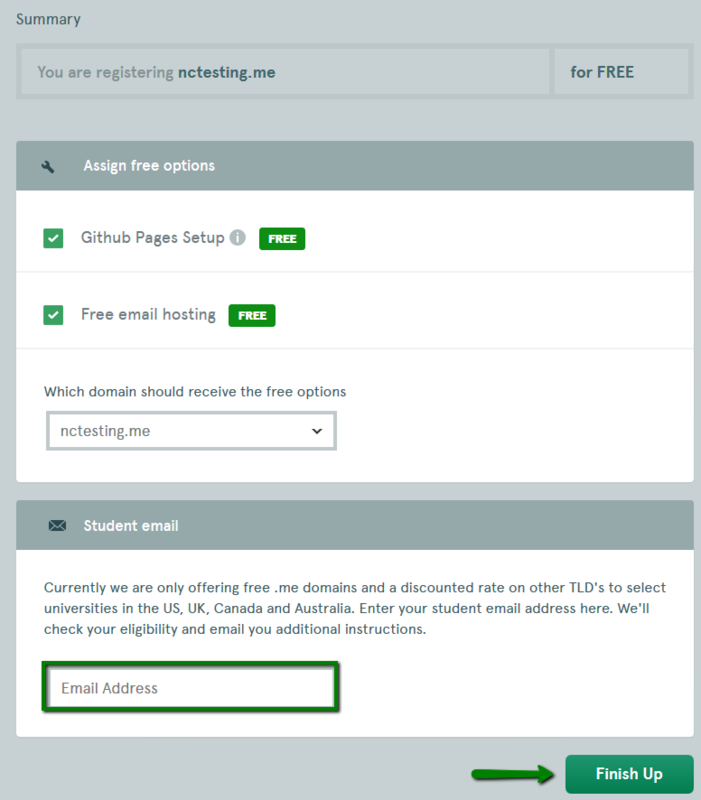 You will be able to check it in the Domain List section and set up your mail service.